We are a manufacturer & supplier of the wide assortment of Electronic Sign Board. Owing to the years of industrial experience, we have been able to provide our valued clients with a wide range of LED Sign Board. 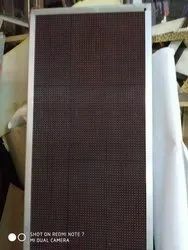 We are manufacturer supplier of Acrylic LED Sign Board. We are the Leading manufacturer of Glow Sign Board. Electronic sign board manufacturers in India.